We see eccentric statements of wealth almost everyday, from soccer players driving million dollars cars, to Hollywood superstars that wear jewelry that would make any queen jealous. Phones that can almost launch rockets in space, houses that became synonym with almost obscene luxury, they are all there, making some of us wonder in silence, with our minds blown by the displayed beauty and lush and crave for the same luck. But humming to ourselves that famous Abba song which implies that it must be funny in a rich man’s world, we figured out that being eccentric and affording to pay incredibly large sums of money to satisfy some particular tastes and needs doesn’t stop at buying designer dinning room rugs or flying with a private jet, spending a summer vacation in the Bahamas or having dinner in the most secluded and incredible restaurants in the world. There are a lot of other expensive, luxurious and downright astonishing items that people pay for, own and wear with pride. So let’s travel the world together and see ten of the most daring and eccentric statements of wealth we can find. We have to travel the world from one place to another, isn’t it? And what better choice if not a luxury car so special, so hot, so famously expensive, if not the Bugatti Veyron? We all heard about it and some of us, lucky enough, happened to see one or two roaring in the streets. But since last year, we have something better, as the people from Mansory raised the bar and took the Veyron for a complete makeover. The final result? A masterpiece built in carbon fiber and golden alloy, with a new frontal grid covered in shades of gold, a new hood, LED day lights, golden alloy rims and around 1.100 horse power engine to spice things up a bit. Is it beautiful? Is it practical? We don’t know, but one of these beasts were spotted last year in Los Angeles. 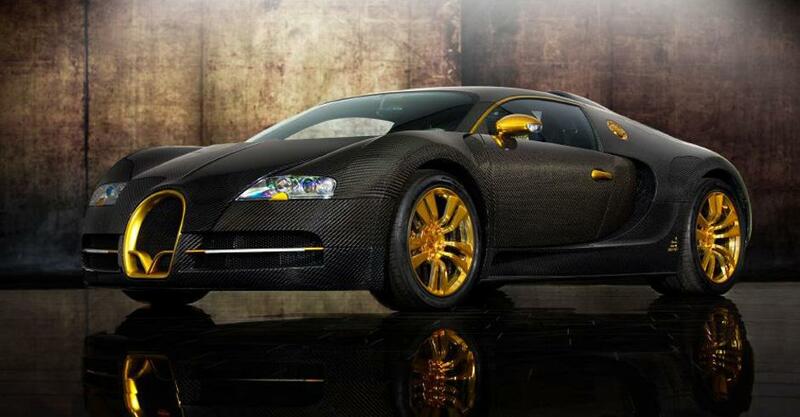 It goes by the name of Mansory Linea Vincero d’Oro and it costs just a little under 3 million dollars. Are you ready for take-off? If you decided to drive and traffic jams still causes you trouble (although we could have taken a plane, but we may find ourselves in trouble because of that), you need to check your wrist watch, just to make sure you will be there in time. Some people wear vintage bronze pocket watches, as a sign of respect to the old classy times, others just do with an electronic one that even measures their blood pressure. 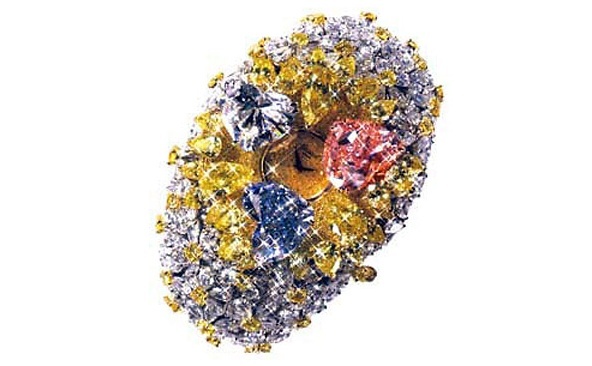 It also comprises another 163 carats diamond, surrounded by many yellow and white ones. It costs 25 million dollars and it shows time too! Something that bothers us, however, is the man version of the most expensive watch in the world, and a pocket one even, which was hand made in 1932, evaluated in 1999 at 11 million dollars and sold that year to Mr. Henry Graves, a banker in New York… Don’t men wear luxury stones? Ah! Say no more! Men finally found their personal revenge after years and years of indulging women’s appetite for expensive jewelry. Who said diamonds are just the girls’ best friends? An article in the Daily Mail proudly announced that men can too find beauty and elegance at exorbitant prices, as luxury fashion designer Stuart Hughes and his collaborator, tailor Richard Jewels (predestined name, isn’t it?) 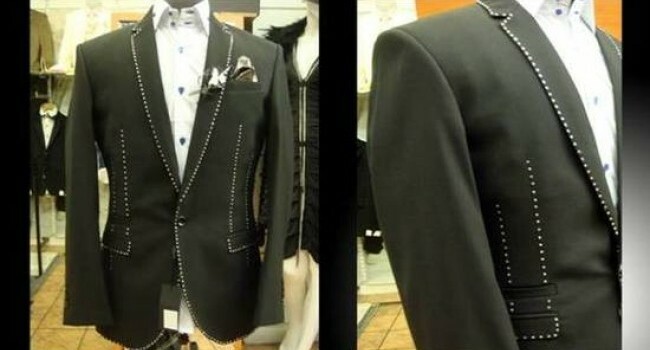 created the most expensive suit for men in the world. The R. Jewels Diamond Edition suit holds close a number of no less than one-cut 480 diamonds. There were only four in the world at that time and one of these cashmere and silk beauties cost around $900.000. Now, we are properly dressed for dinner. The gentlemen wear their diamond suites and the ladies still check the time left to their dinner reservation on their luxury wrist watches. But before trying the best gourmet specialties one can find, let’s make a quick stop in the U. K. and enchant our senses with some of the most delightful perfumes in the world. Chanel No 5? Sixth place in the top of the most expensive perfumes in the world. Les Larmes Sacrees de Thebes by Baccarat? Second place. 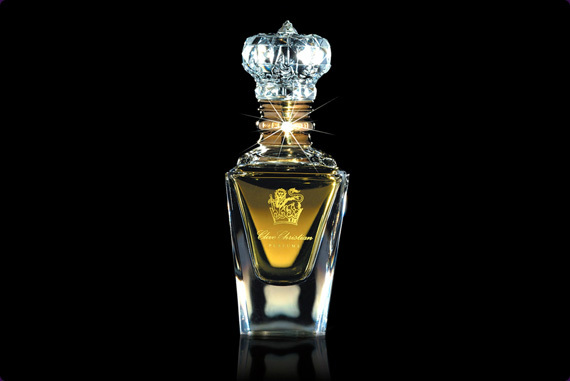 If you want to try and buy the most expensive perfume out there, Clive Christian’s Imperial Majesty is a symphony of aromas and liquid diamonds that impressed even rich and famous VIP’s such as Elton John, Katie Holmes and Victoria Beckham. The British designer entered the Guiness Book of World Records for this perfume, combining over 200 different scents, among which one is highly rare and expensive – Tahitian vanilla, while the bottle framed by an 18-carat gold collar and a five carat diamond, to complete the fantasy. It costs $215,000 and only five bottles a year find their way to the public. Alright, then. We have an awesome ride, we look good, we smell good, it’s time for a treat. How about a short strong appetizer before eating? The “Billionaire Vodka” is not something you will find in a regular bar, but more likely in a billionaire’s private liquor collection, so let’s say we pay a visit to one of the few owners of this diamond-clear drink. Its creator, Leon Verres, says that the five liters bottle contains the most pure and fine vodka in the world, as it was filtered through diamonds. Now, if that is not an eccentric statement, we don’t know what is. 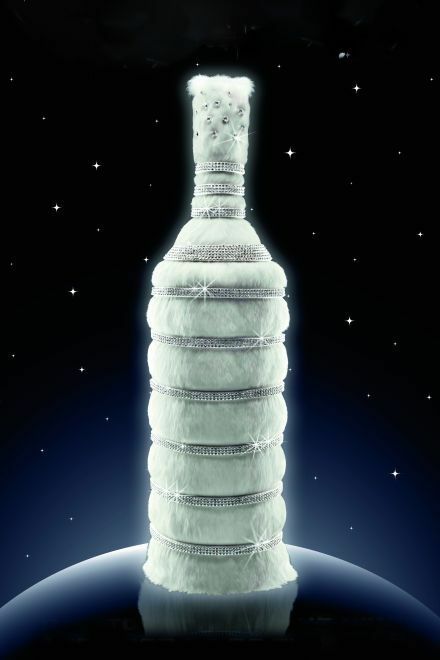 The bottle itself is a genuine piece of jewelry, being coated in fur and adorned with… take a wild guess… 3.000 diamonds. Priceless? If you can afford $ 2.6 million, you don’t need to worry. If you don’t worry about your check balance, you can shop for it HERE. Dinner, at last! But if you think we drove all the way to Copenhagen to eat at Noma, think again. Yes, it was the best rated restaurant in the world for the past 3 – 4 years, and in 2013 it was awarded second place among the world’s 50 best restaurants, but since that incredibly embarrassing and sad food – poisoning incident, Noma needs to rebuild its reputation. El Celler de Can Roca from Girona, Spain, is currently the world’s most widely appraised restaurant in the world and even the most rigid, pretentious and unfriendly food critics had to admit the freestyle food combinations and the high-tech appliances can convince an anorexic to become a food junkie. What does have the best restaurant in the world to do with the most expensive dish? 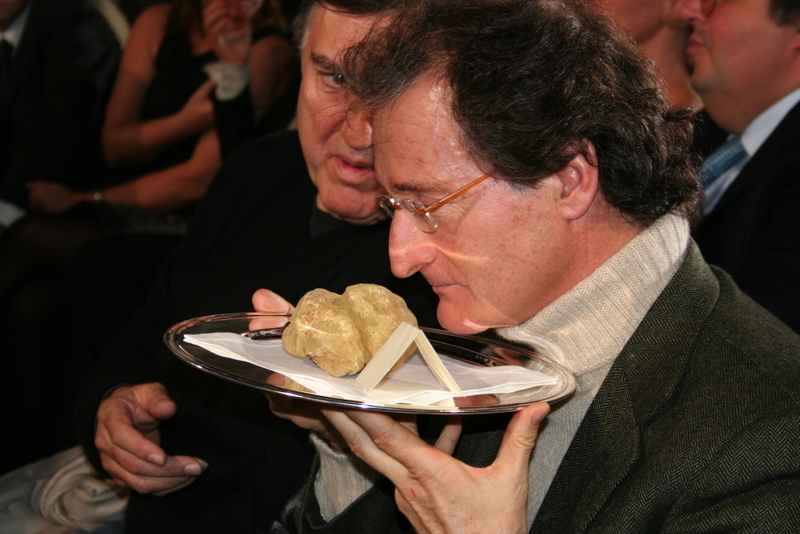 Well, we really hope they have on the menu white truffles, Yubari melons or blue lobster, as these are some of the most extravagant, hard to find and pricey food products out there, with the truffles winning the championship at a little over $ 4.000 a kilo. But if you stop there for a bite (make sure you make reservation a year before! ), check out the most outstanding dish that won them global glory: Charcoal-grilled king prawn, king-prawn sand, ink rocks, fried legs, head juice and king prawn essence. Or the Dancing Ice-Cream. We are still in Spain, thinking to go out and enjoy a night of dance, drinks and fun. But where to go? Olivia Valere in Marbella area of Spain was once one of the most expensive clubs in the world. With a shot of vodka leaving you poorer with almost 25 Euros and a bottle of champagne going up to almost 11.000 Euros, this club made the tops for many years. Don’t let yourself fooled, though. In luxury resorts you can find even two or three of these. But what does this year say about the trends? 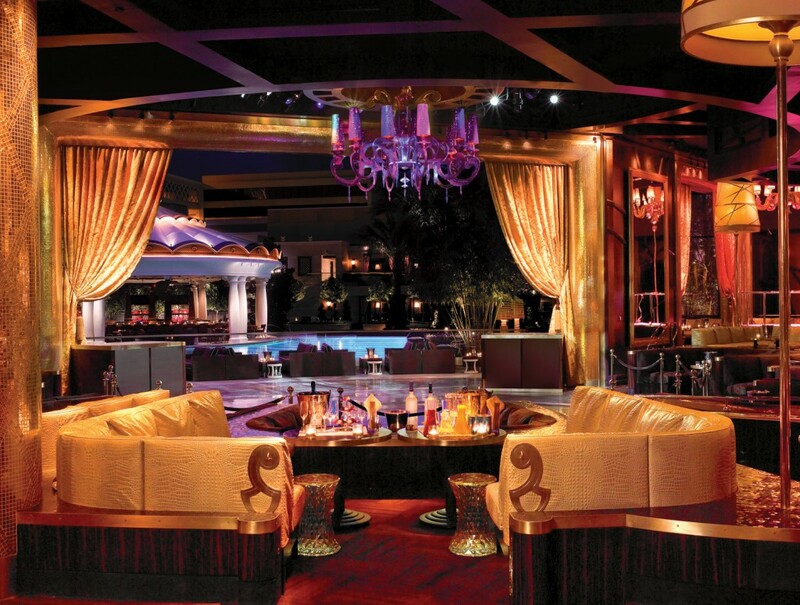 Well, XS Club in Las Vegas is definitely a must-see and taste if we’re going to play Richie Rich for a little while longer. And that’s not the only reason to go to Vegas and you know it. But since we’re making eccentric statements of wealth and money is not a problem, let’s step inside! You can pay even $ 10.000 for a cocktail and around $ 500 for a bottle of liquor so… if this happens in Vegas, this will most certainly stay in Vegas, as not many clubs in the world afford to practice these prices. But lucky for us, we can have our Cosmo cocktail and leave for shinier places in the world. Tired of traveling and wanting to spend a day in the comfort of our home (in Switzerland! ), we somehow realized that we do want a furry, friendly, lovable companion, and what better soul – mate than a dog? And while trying to find the most expensive dog in the world, we ended up in China. 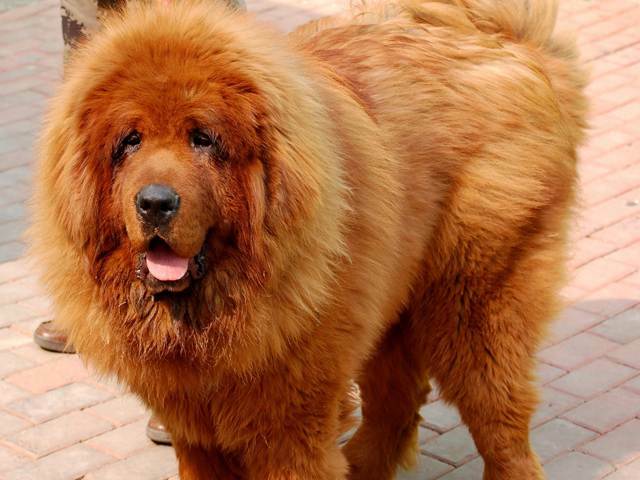 Out there, a business man bought a Tibetan Mastiff with no less than $ 1.5 million. Gengis Han is said to have had one, Buddha also. Now the Chinese industrial entrepreneur. These dogs belong to an old, noble breed. Believed to bring luck to their owners, they are very appraised in China and Tibet. They can reach even 180 pounds, they are red furred, fluffy and nice. We don’t really know what dog food and accessories this particular canine benefits of, but given its purchase price, we might as well try to find a similar one soon. We just don’t think this owner will sell it to us. Maybe if we ask some royal crown in the world, as kings and queens are known for owning the “success” dog, or the Hong Dog, as the Chinese call it. If we gave up the idea of having a dog, maybe we should take a closer look to A-List baby products and accessories, who knows, maybe someday we’ll become parents. 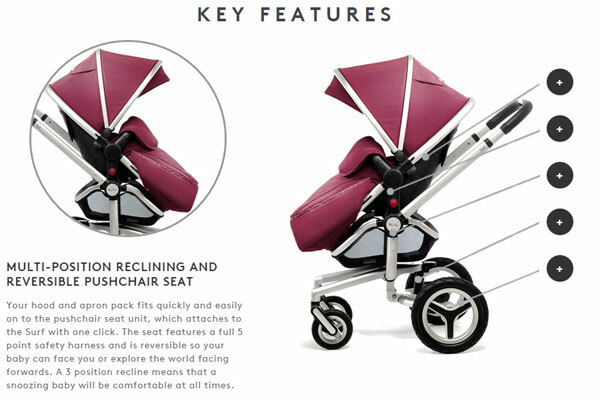 In terms of baby carriage, Aston Martin decided to show the world they are more than a James Bond brand. So in association with another famous British brand, Silver Cross, an old manufacturer of baby prams, they decided to offer the world the “Silver Cross Surf”, a baby carriage dressed in Aston Martin finest car leather, aluminum wheels with a design based on Aston Martin’s One-77 model, Italian swede and everything a luxury car can reflect on a baby pram. This beauty is said to cost around 2.000 Euros and its limited edition says it all. As we mentioned earlier, traveling, shopping, deciding what’s best for you and your family may exhaust us and leave us with the longing of spending the rest of the week home. 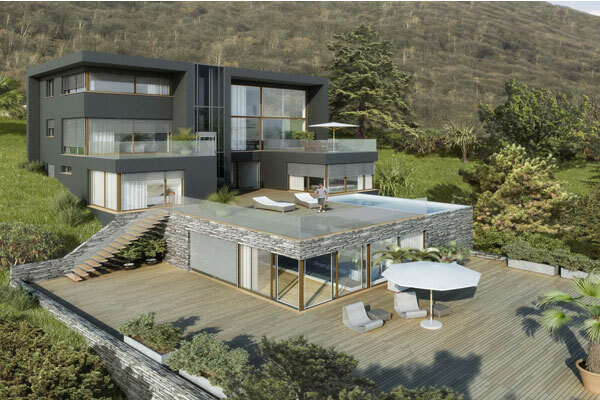 Because we couldn’t buy anything else but the best, we decided to take residency at the border of Switzerland and Italy, in a house designed by famous architect Stuart Hughes. We paid for it only 8,6 billion Euro and it was worth it, because it has eight rooms and a space of over 700 square meters. To its building the designer used over 200.000 kilos of gold and platinum and the floors are an eccentric combination of meteorite residue and dinosaur bones. And, to our excitement, we can host the Veyron here too, as the garage has room for four cars. What other eccentric statements of wealth have you heard about? And what are your favorite guilty expensive pleasures?